KGI Securities analyst Ming-Chi Kuo is at it again, this time suggesting that Apple will have three new iPhones ready for launch next year. 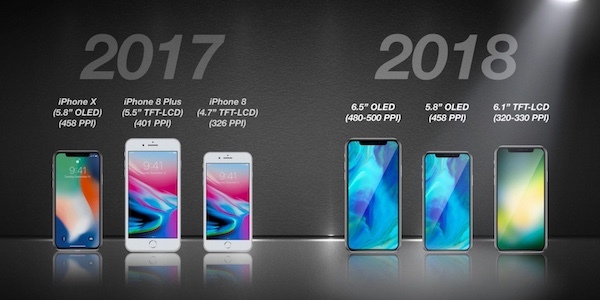 The breakdown of the releases is an interesting one, too, with Kuo believing that Apple will release new 5.8-inch and 6.5-inch models with OLED displays and a 6.1-inch model with an LCD display. Interestingly, Kuo believes that all three new iPhones will feature an iPhone X-like edge-to-edge design, with the TrueDepth camera required by Face ID also expected to be part of the design. Perhaps the most interesting of the three screen sizes is middle one at 6.1-inches which Kuo says will feature an LCD display similar to the existing iPhone 8 Plus, but with iPhone X-like design. The lack of an OLED screen will allow Apple to offer the device to low-end or mid-range markets, with an expected launch price of between $649 to $749. However, no mention has been made about expected pricing for the other screen options mentioned. Two new OLED models target high-end market; new TFT-LCD model aims at low-end & midrange markets: We believe the major hardware difference in the two new OLED models is size, in a bid to satisfy various needs of the high-end market. The new TFT-LCD model will differ significantly from the OLED models in hardware and design specs (for instance, the PPI will be lower). The primary selling points of the TFT-LCD model may be the innovative user experience of an integrated full-screen design and 3D sensing with a lower price tag (we expect it will likely be US$649-749). 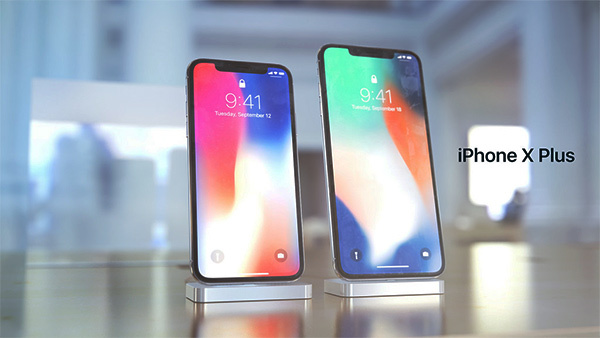 While it is still very early to be confident of Apple’s 2018 iPhone lineup, if Kuo is correct then we can expect to see an updated iPhone X, a larger iPhone X Plus and then a mid-range LCD offering that will carry similar features to the iPhone X but at a lower price point. Such a lineup should give Apple’s iPhones an opportunity to reach a larger potential customer base, keeping feature parity across the lineup and also giving fans of huge phones the opportunity to pick up an iPhone X with a 6.5-inch screen. We expect to hear more about Apple’s 2018 iPhone lineup in the coming months. iPhone x was the anniversary iPhone, they’re not making an X plus model. No plans for X SE? ?